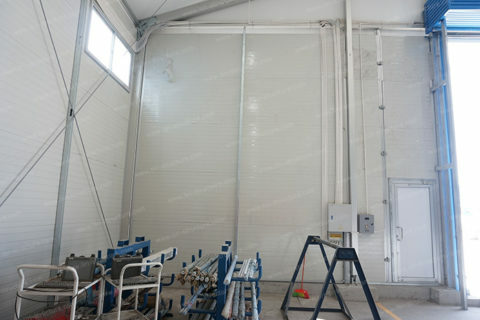 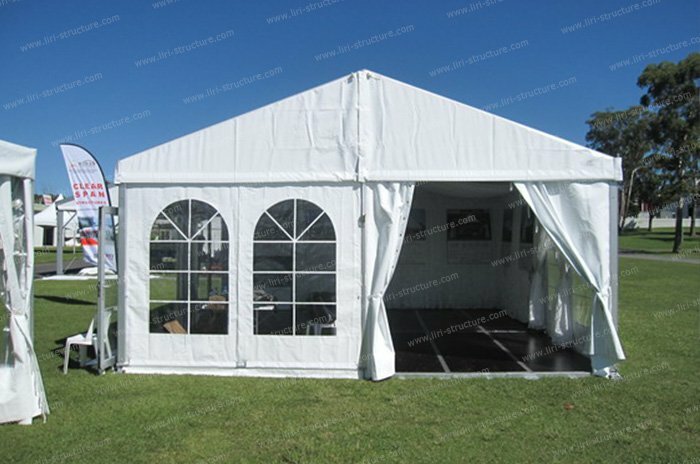 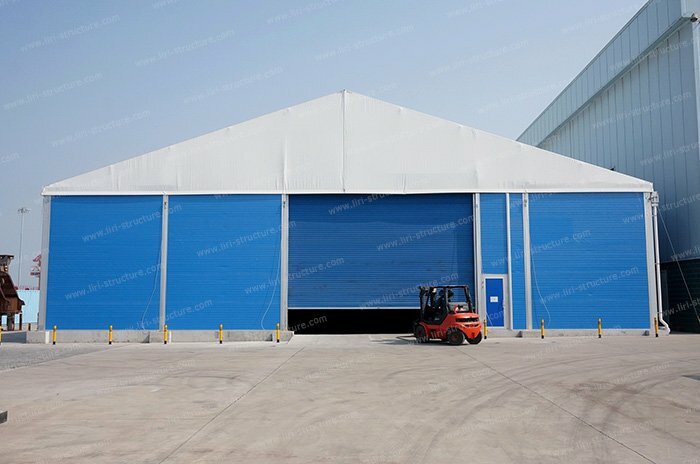 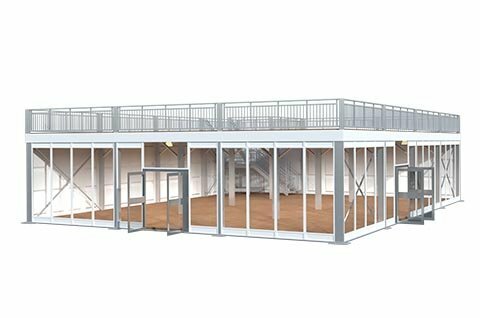 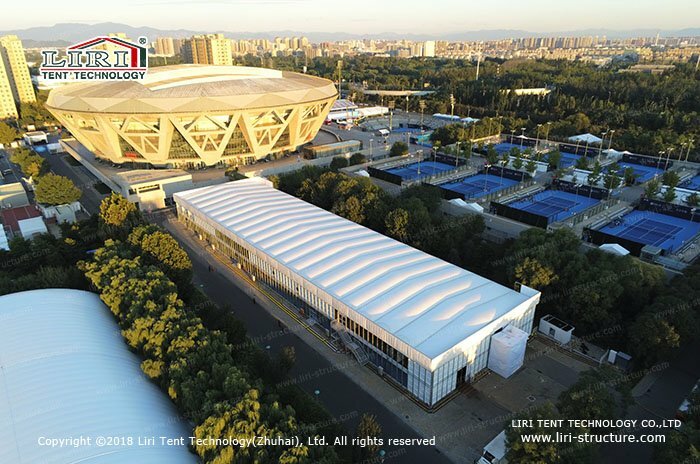 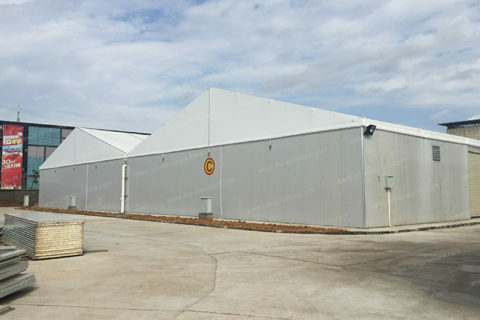 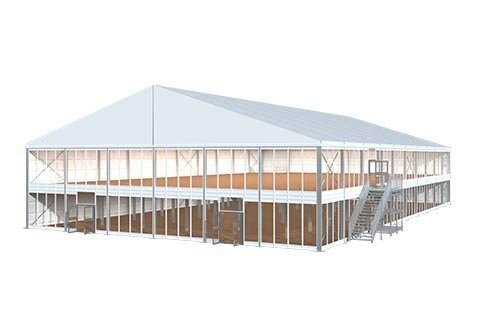 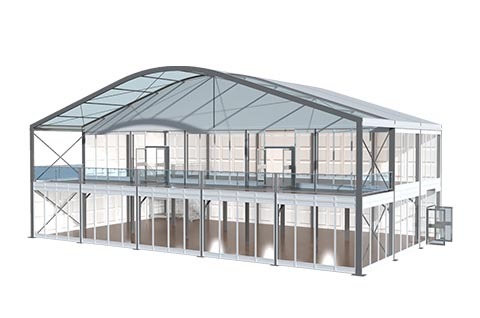 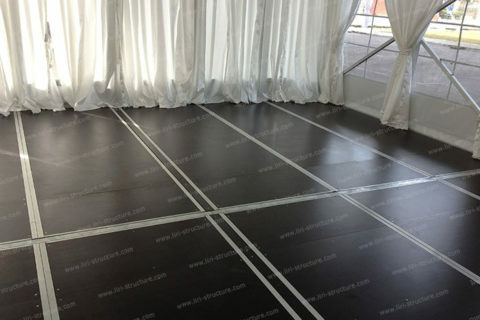 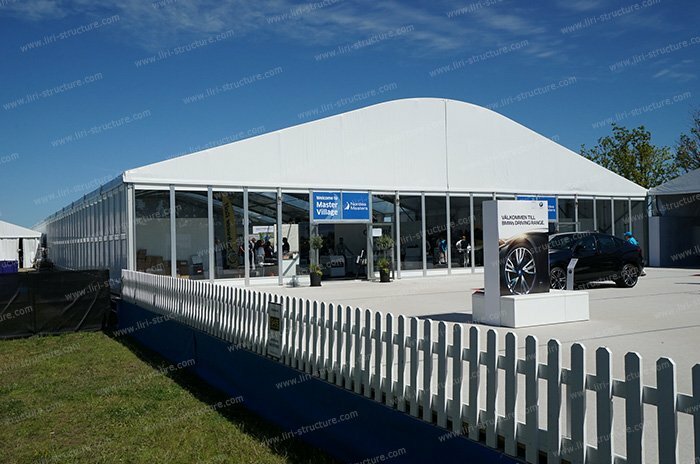 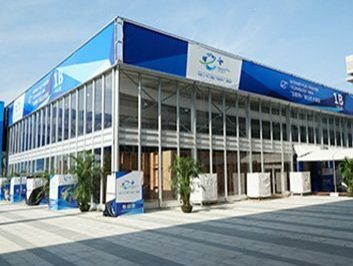 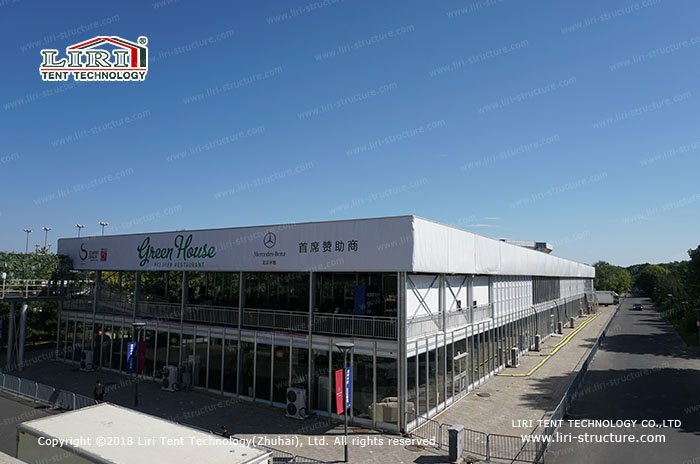 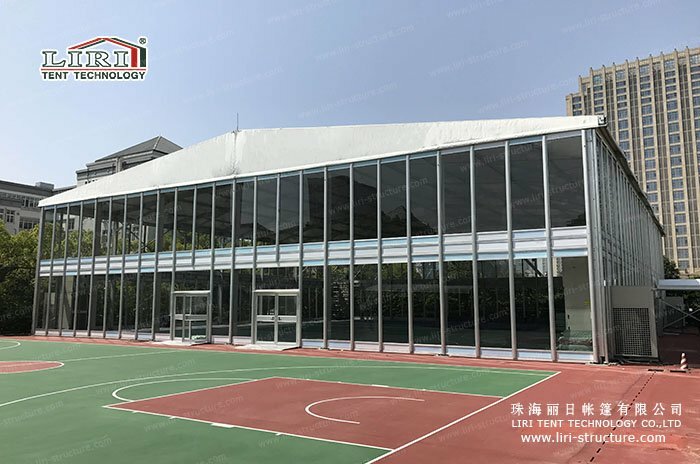 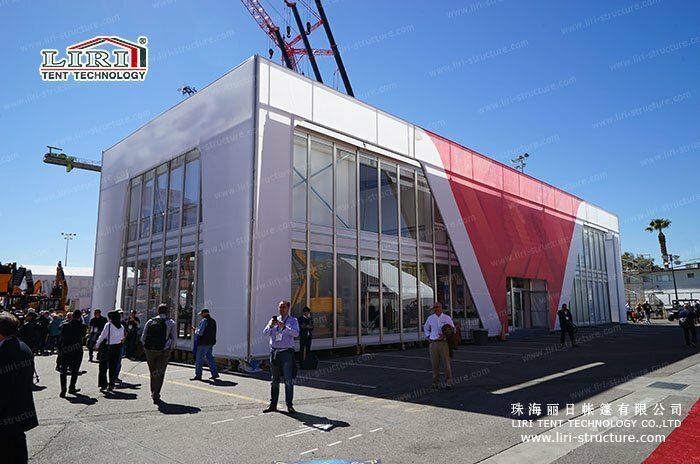 The clear span we have for the Thermo Roof cube two-story tent structure series is 10m 15m 20m 25m 30m 40m, and the main profile size is 300x120x5mm. 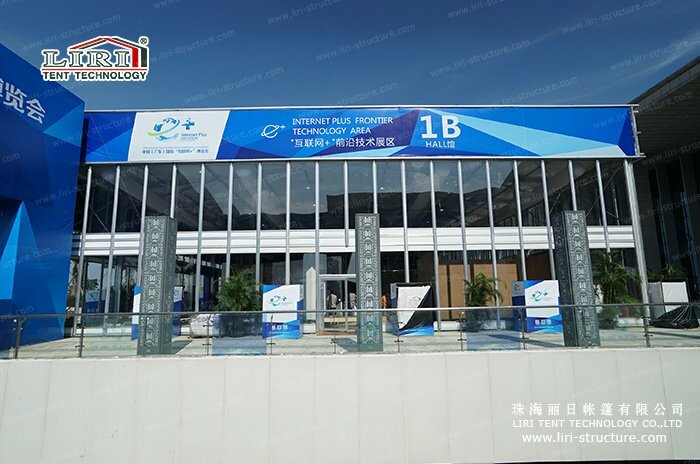 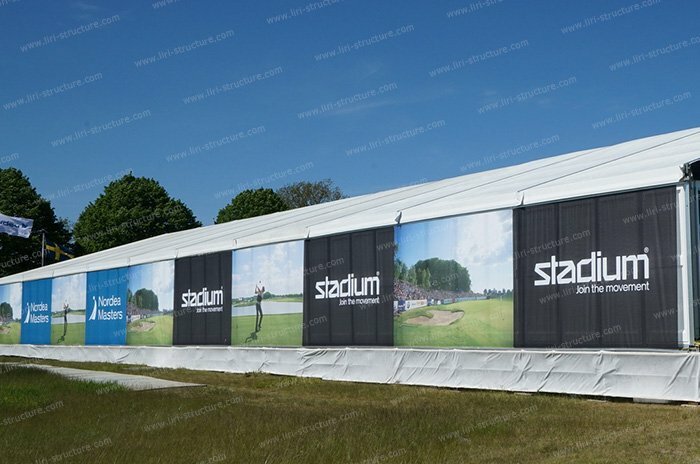 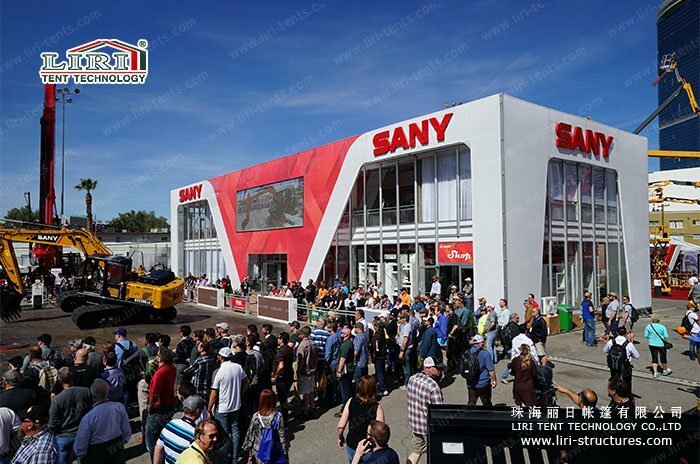 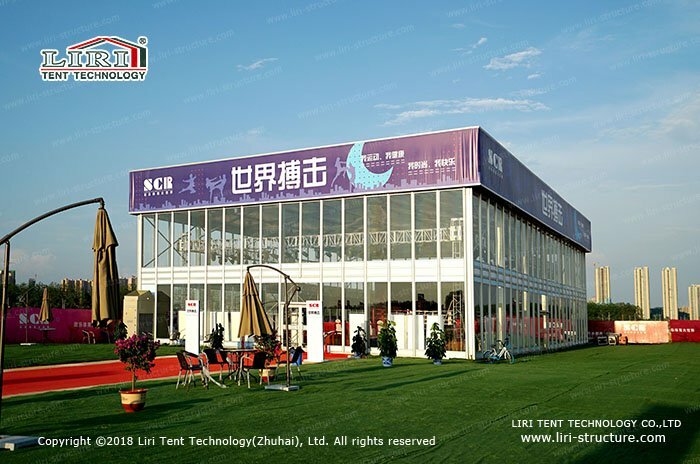 improvement and innovation, we increased the space for the banner advertising, which provided our customer with the platform to print Ads on the tents. 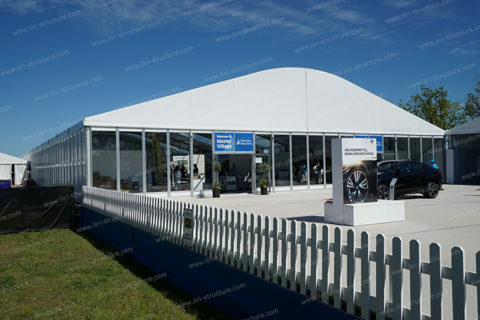 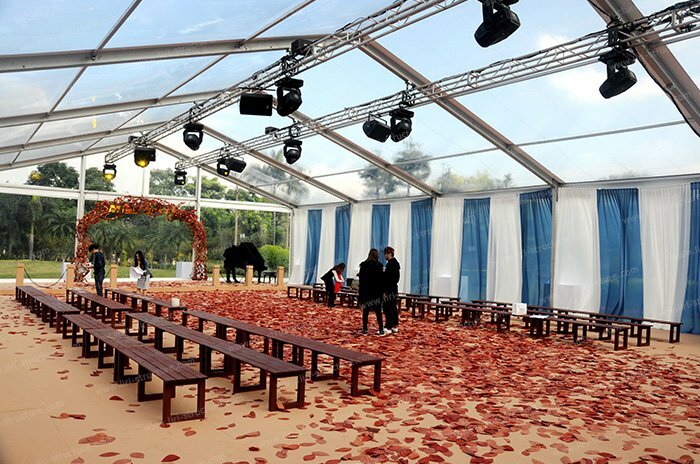 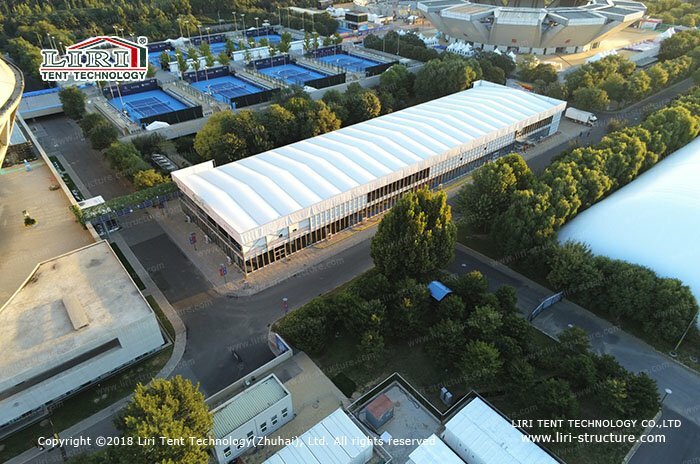 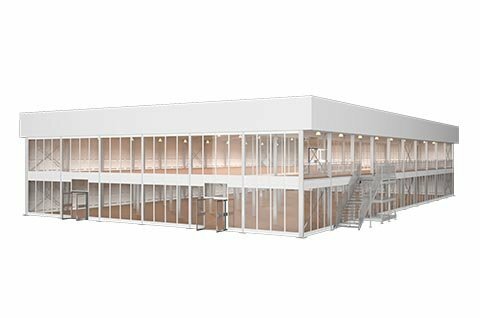 Just as our standard double-decker tents, the thermal roof cube double-decker structure can help you expand the “active area” when your actual area is limited， which means you can utilize double space and are from one projected area. 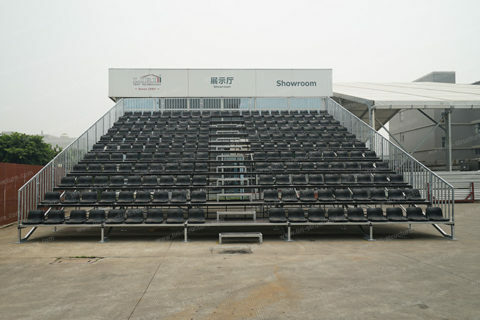 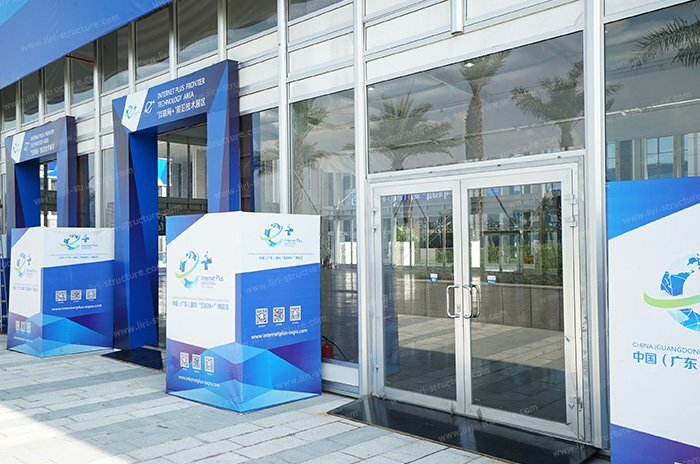 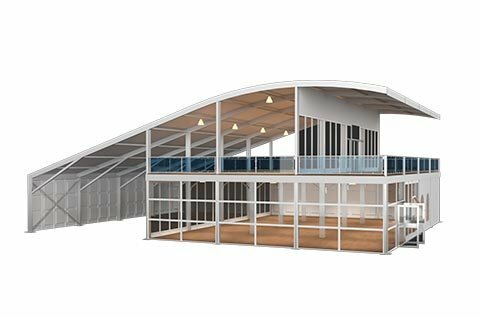 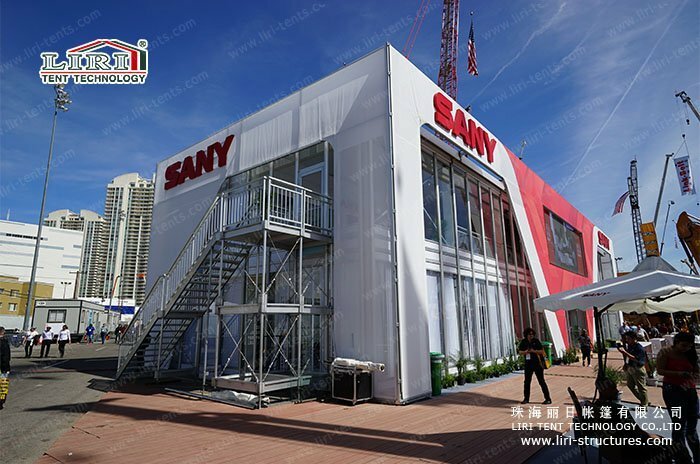 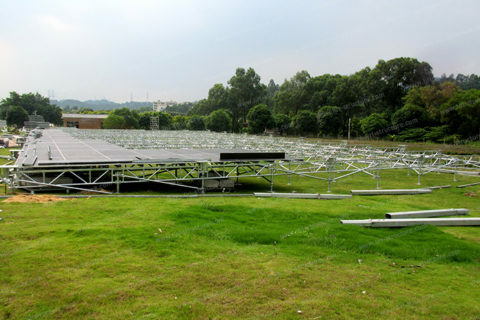 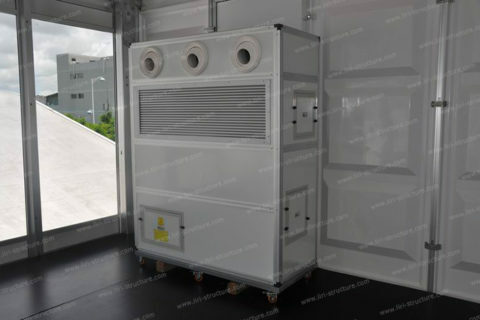 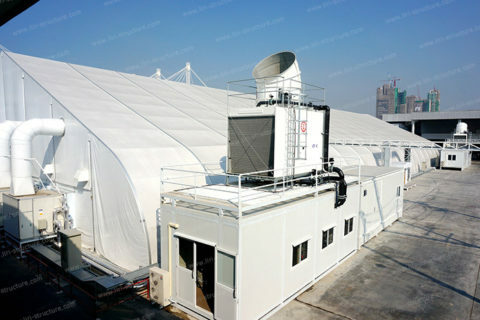 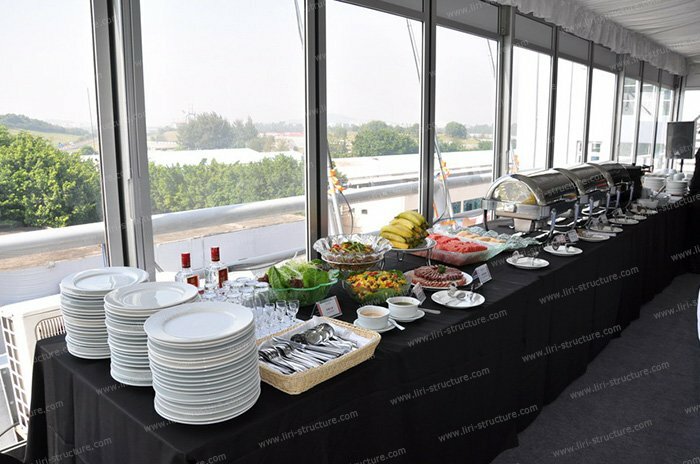 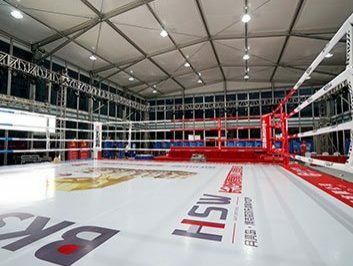 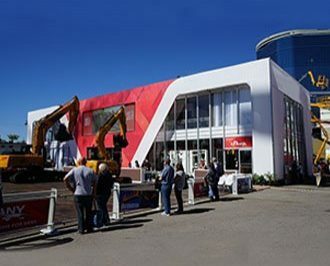 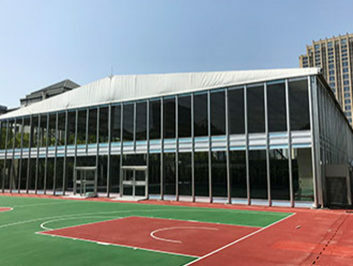 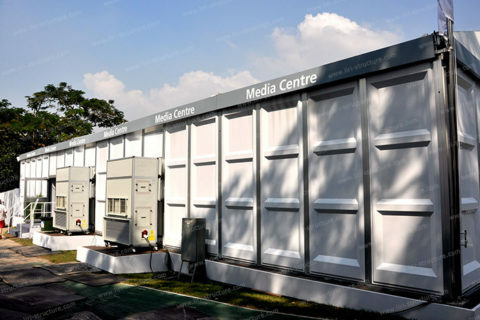 In addition, the thermal roof cube double-decker structure can be equipped with outdoor balcony, people can get a very broad horizon from it, double-decker which is a very good choice for sports games (such as football games, golf, equestrian, and car racing etc.）use as VIP spectator stands. 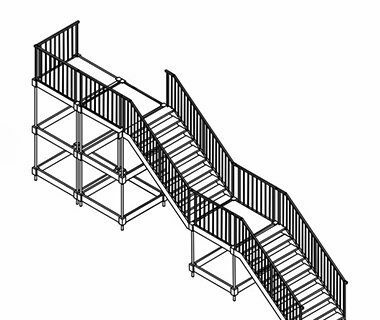 There are many access double-decker structures. 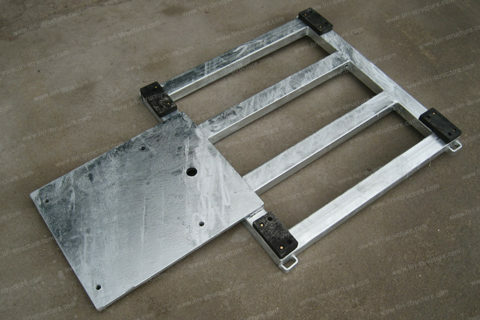 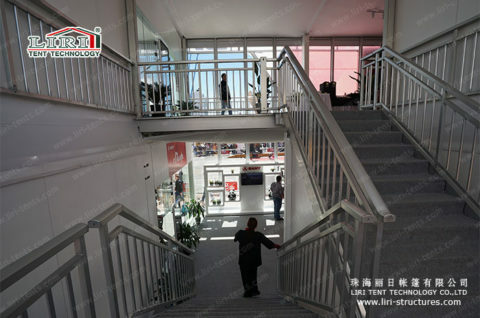 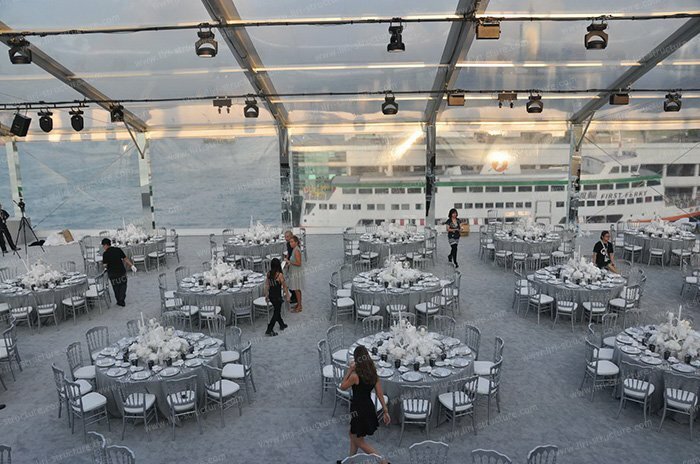 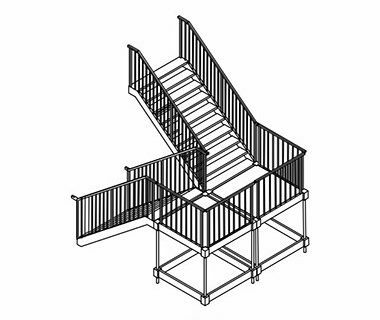 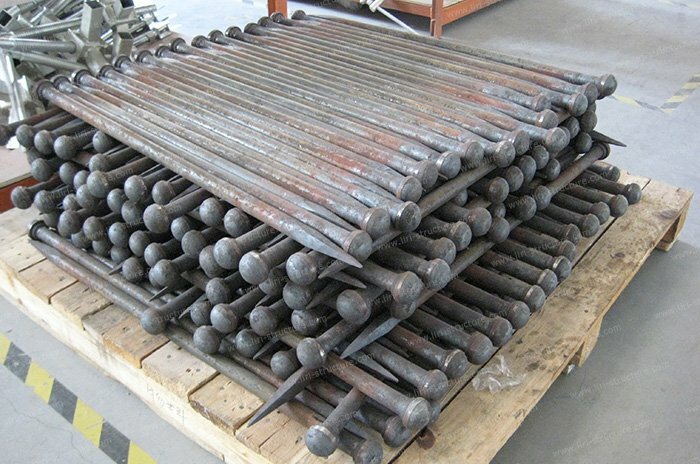 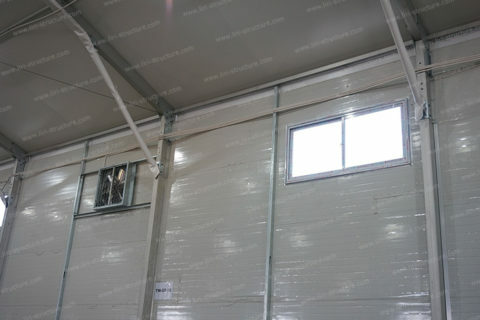 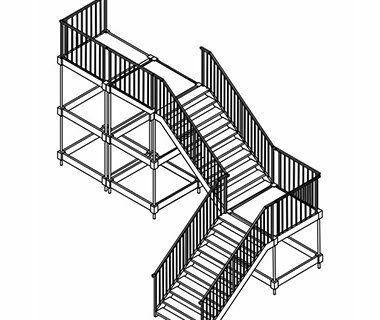 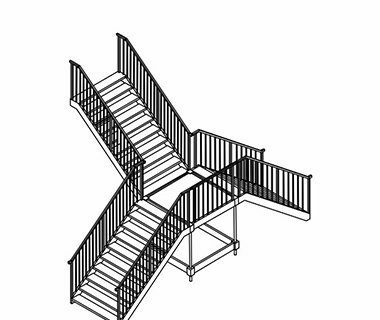 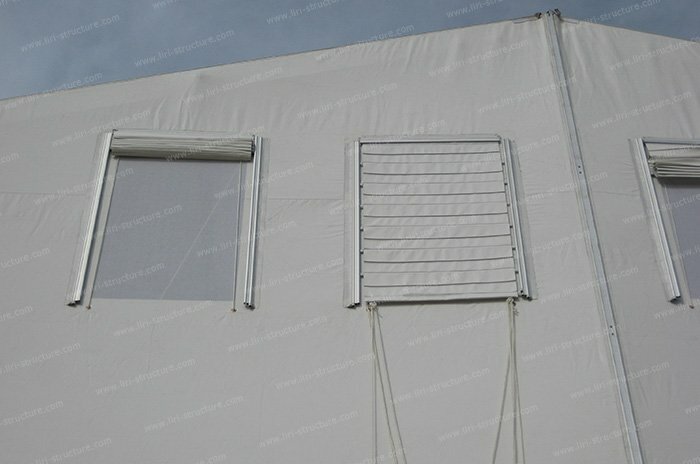 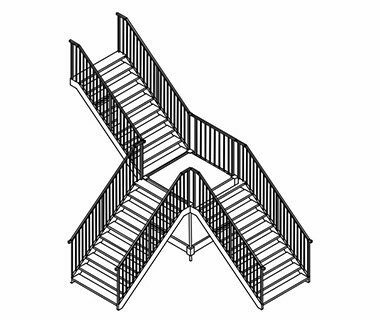 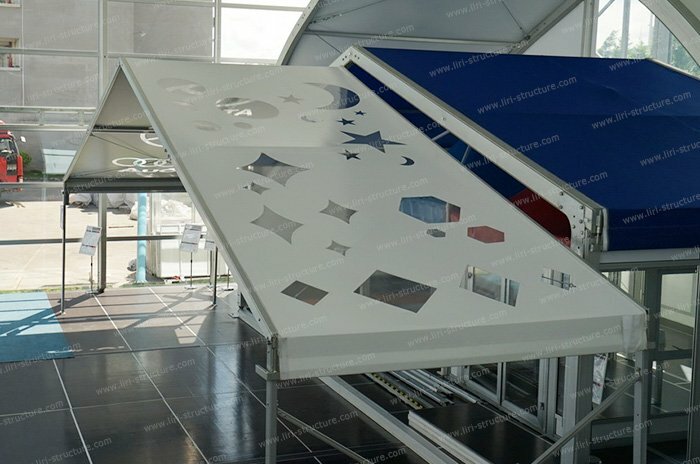 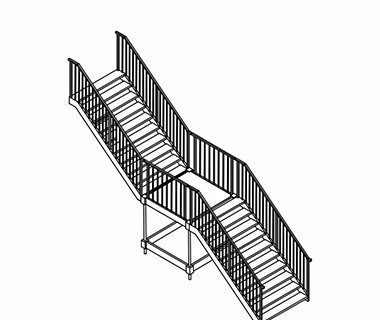 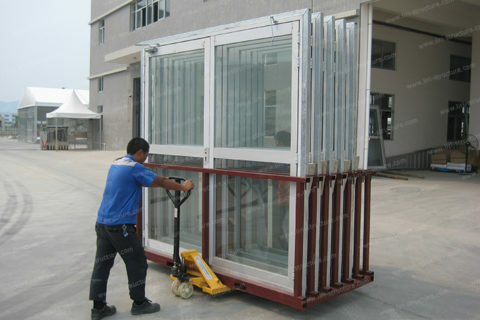 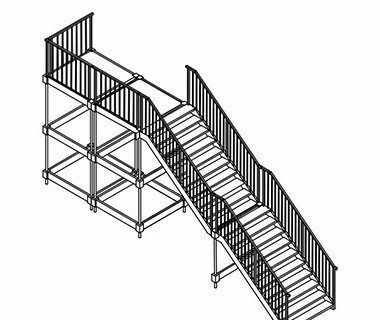 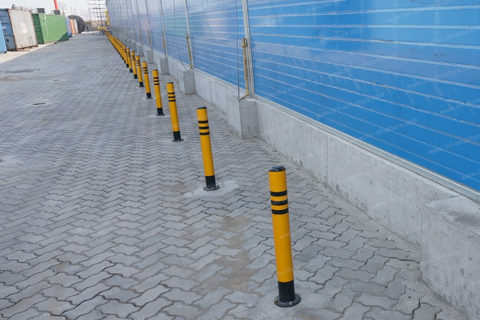 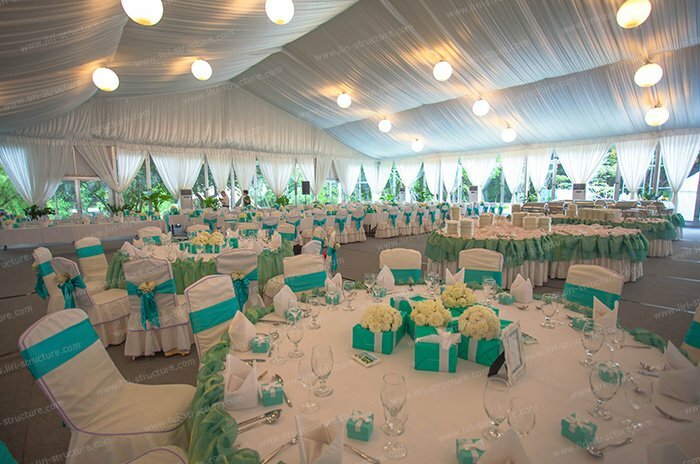 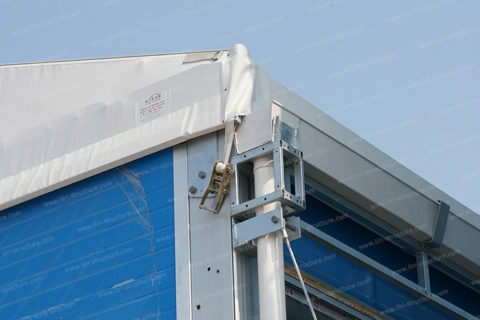 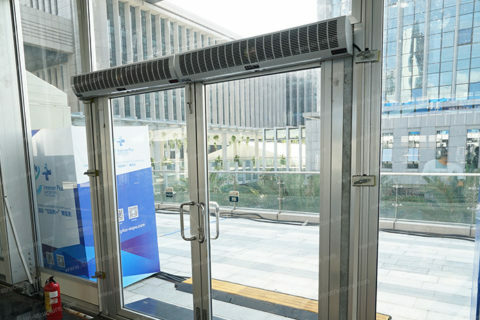 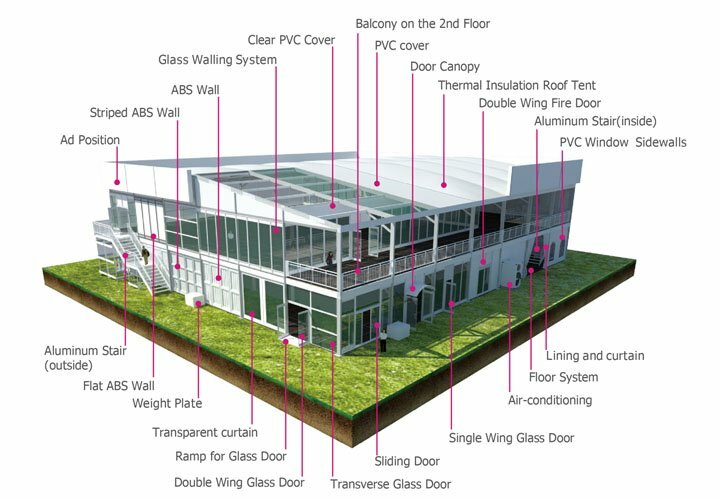 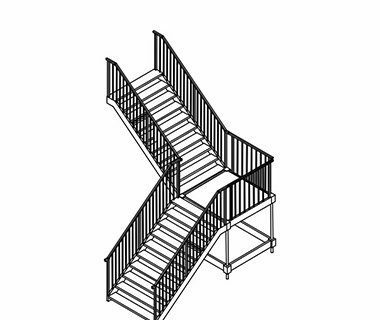 These accessories are aluminum stairs inside or outside the tents, sidewalls with clear PVC church windows, ground anchor, lining and curtain, glass wall system, ABS hard wall system, sandwich wall system, steel sheet wall system, glass doors, sliding doors, electromotive rolling door system, transparent roof cover and sidewalls, and flooring system.